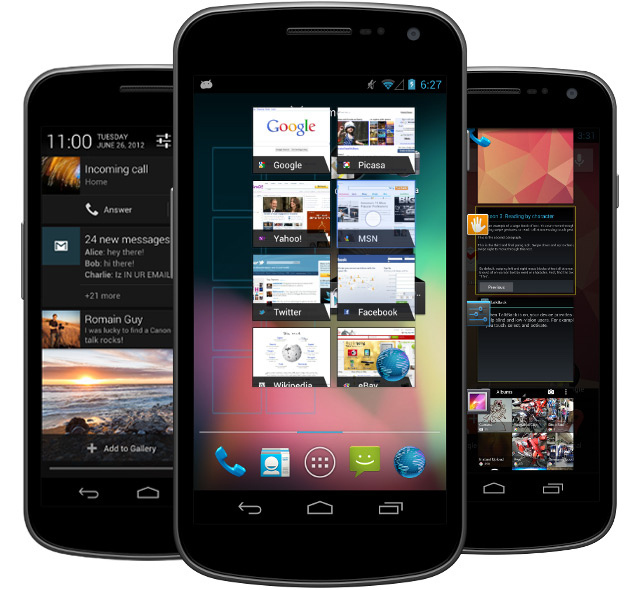 Best Android Lookout : Jelly Bean Android 4.1 Review on Galaxy Nexus ! Yes ! Jelly Bean Android 4.1 is superior compared to the previous Ice cream sandwich 4.0 the video clearly shows us that. -Project Butter is a complete success, the touch interface is improved to be the best. -Touch comparison made to the Galaxy S III(running ice cream sandwich) showed that Nexus (running Jelly bean) was faster even though S III is quad core & Nexus is Dual core. Thus Jelly bean is superior ! -Notifications management has improved a lot. -The Voice search assistant is much faster compared to Apple's Siri on Iphone 4 . -Camera interface is new and improved. -Web browsing is as smooth as butter thanks to Project butter. -Automatically re-sizable App widgets is also very much helpful when your arranging apps. -In a Nut-shell Jelly Bean Android 4.1 clearly beats the former Ice cream sandwich 4.0 ! so ITS A MAJOR UPGRADE ! Dude..you need to delete that video. Its not yours y no? I have not taken any credit for the video, I have mentioned clearly who the video belongs to. Hi I am Vivek singh at Delhi operating on the city railroad venture. I am a 24 season old younger guy, who are tried to everyday perform . I am looking for fun with a beautiful girl who can fulfill my wishes, then I have made the decision to look for about excellent looking separate companions in Delhi lady on Google. At enough time I was really satisfied when I fulfill with beautiful Nikita Roy a popular Design and independent Delhi Escorts, I cannot able to ignore that night when I was stunning lady, She was amazing, she can entice you with in a second and her characteristics was amazing, completely partner encounter. I really want to see her again.